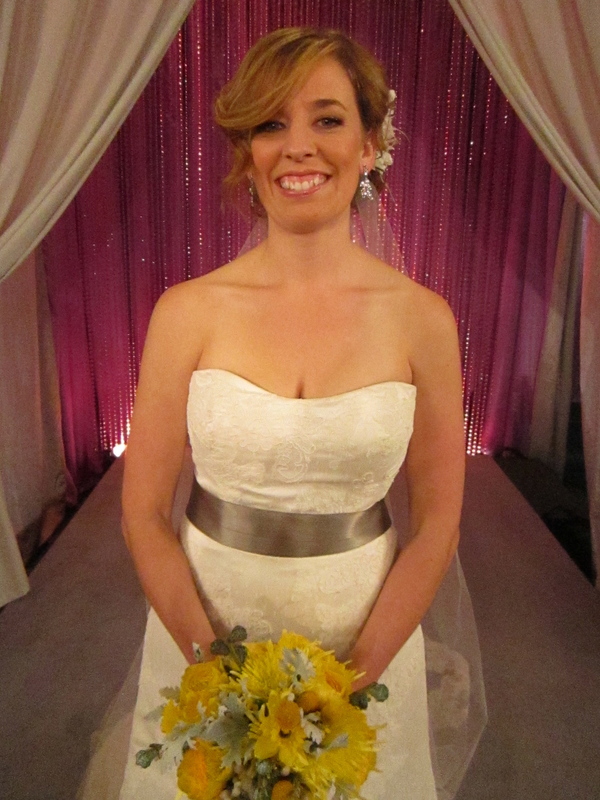 This A-line lace gown by Venus was the perfect silhouette for Emily’s figure. Sash by A.B. Ellie. Bride Emily’s main concern was finding a gown that would look good on her body, so I immediately headed for a lace A-line gown that would define Emily’s waist. 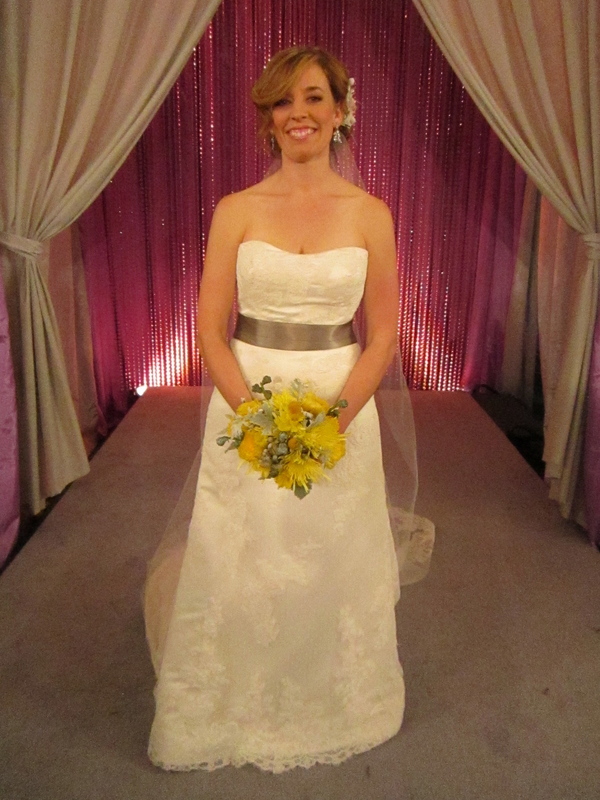 The first gown was a lace dress by Venus that I added a satin sash by A.B. Ellie, to help define Emily’s waistline. The gown looked absolutely beautiful on her, and her friend Tina agreed, however, all Emily seemed to notice was an imagined “problem area”. Confidence shaken, Emily tried on many gowns in the dressing room, but refused to show her entourage. Finally Emily emerged from the dressing room in another gown, only to continue to compare herself to friend Tina. Back in the dressing room, after even more gowns and a short pep talk from me, Emily had the realization that she had already found her perfect gown, the very first gown I had chosen for her. Feeling confident and beautiful, Emily emerged to show her entourage HER dress and then proceeded to hair and makeup to complete her “head-to-hem” makeover. 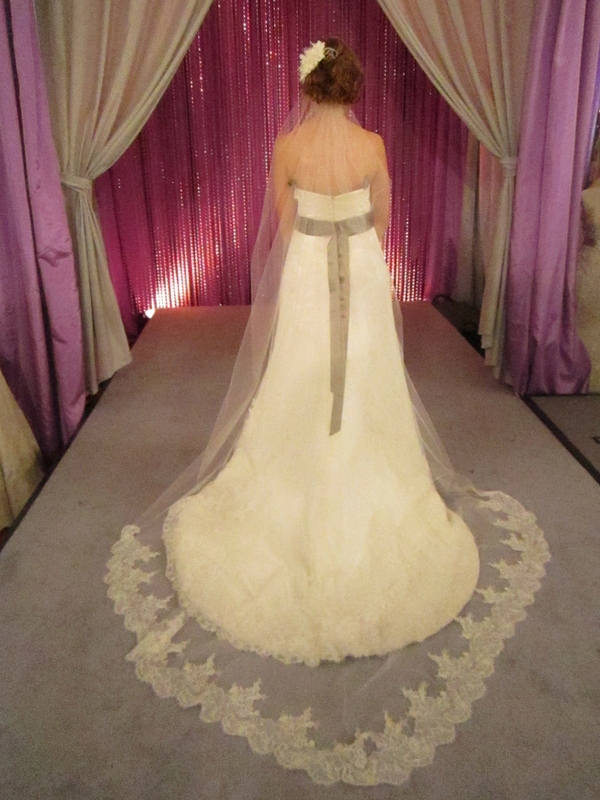 This lace edged veil (Siren) from Toni Federici perfectly framed the train of Emily’s gown. Soft pastels and natural shades let Lauren’s natural beauty and radiant smile shine. 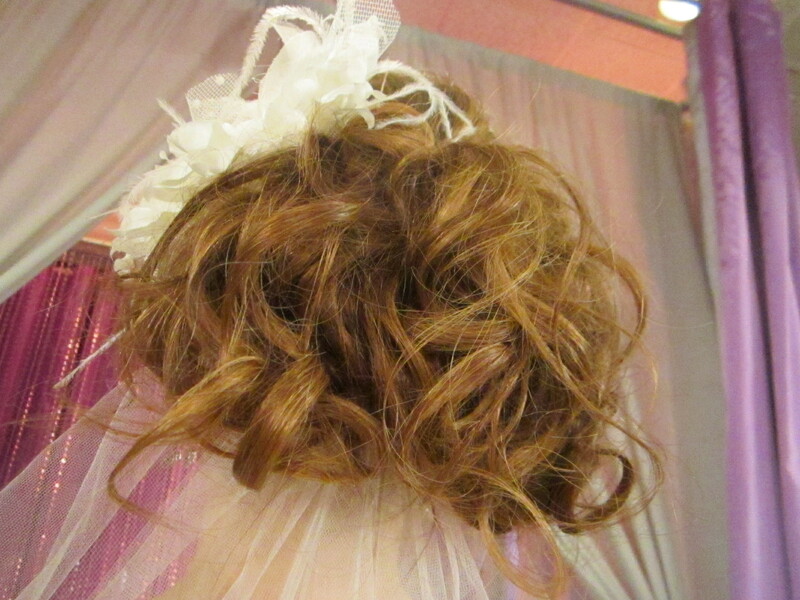 Lindsay’s created a natural, unstructured up do that softly framed Lauren’s face. 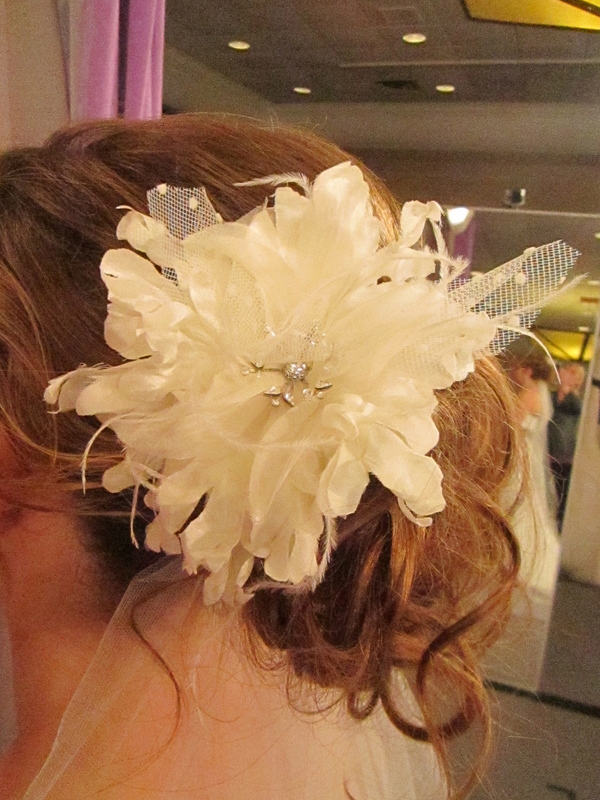 Lindsay then chose this flower headpiece from Malis Henderson to adorn Lauren’s hair. 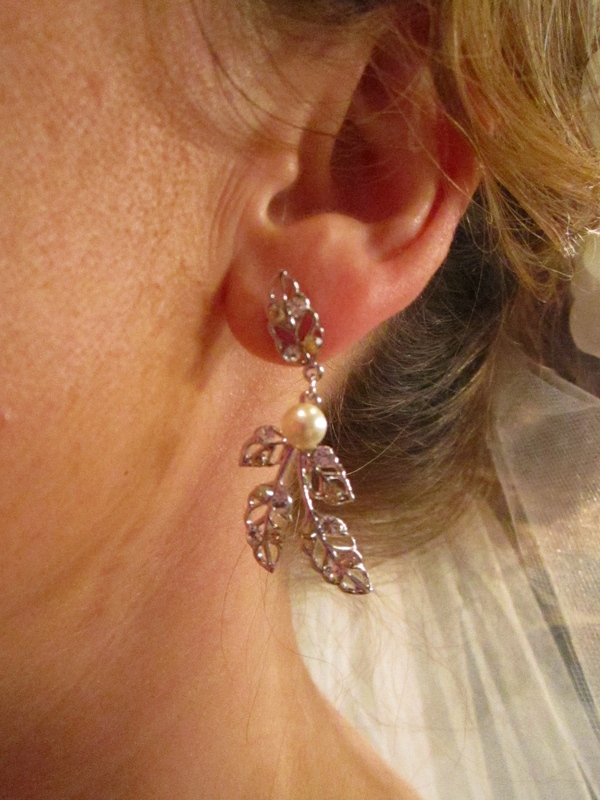 Earrings (Bonsai) from Thomas Knoell. 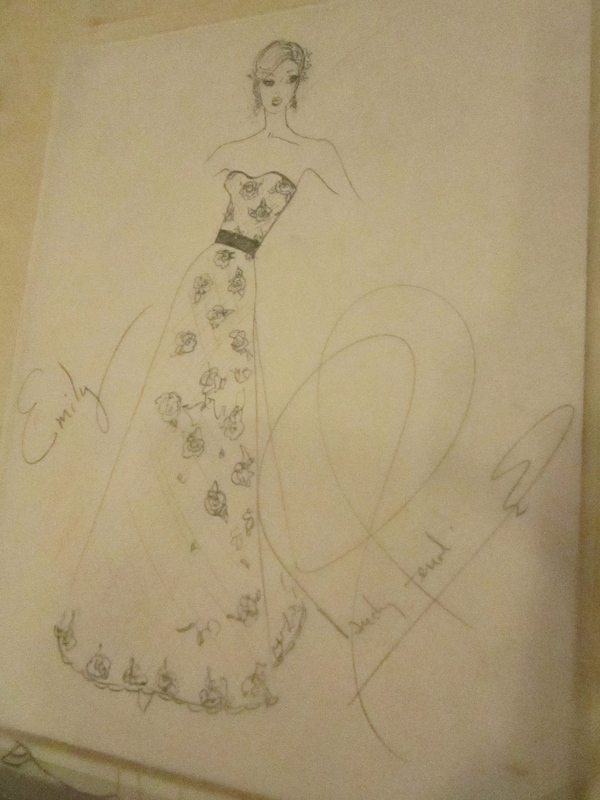 My completed sketch for Emily’s Bridal Blueprint. More handmade sashes from A.B. Ellie can be found at www.abellie.com.